I only uploaded the DDS files so you can do with them as you please. thank you mate, that looks quite good. @ClimaxF1 wrote: You should maybe convert it to AMS so that everybody else can use it with out any problems. For me it's easy to convert but there are many out there who don't know how. Yes sorry about that, I don't have AMS. Feel free to upload it but please keep the included readme. @MrMech wrote: Sometimes things are just...#69nice. Nice skin mate, thanks a lot! @gtracer123 wrote: Thanks a lot Sir! Here's the sound from page 2. I changed inside coasting with an HPD one, thanks to MrLeman for the info! AMS users, you need to convert it to AMS, it's currently in GTR2 standards. tried your sounds mate but it still needs heavy adjustments for AMS. all mix sounds are off while accelerating, when you get from the gas they are there. Oh no, that's horrible I've included everything necessary. Is AMS like rFactor sound files as well as the audio file itself? I know nothing about AMS but from what I've known is that it is very similar to rFactor. Hello !! First I would like to say that you did a great job, I just have a problem, my car has no engine sound, could you or anyone help me? Do you have the GT3 Base Mod installed? If not, that would be the issue. The Acura uses engine sounds from there. 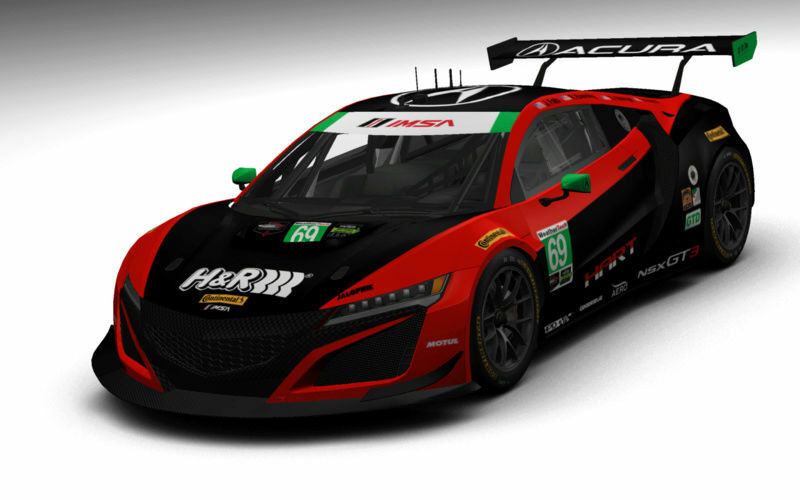 is anybody thinking about making the actual Rolex 24H skins? 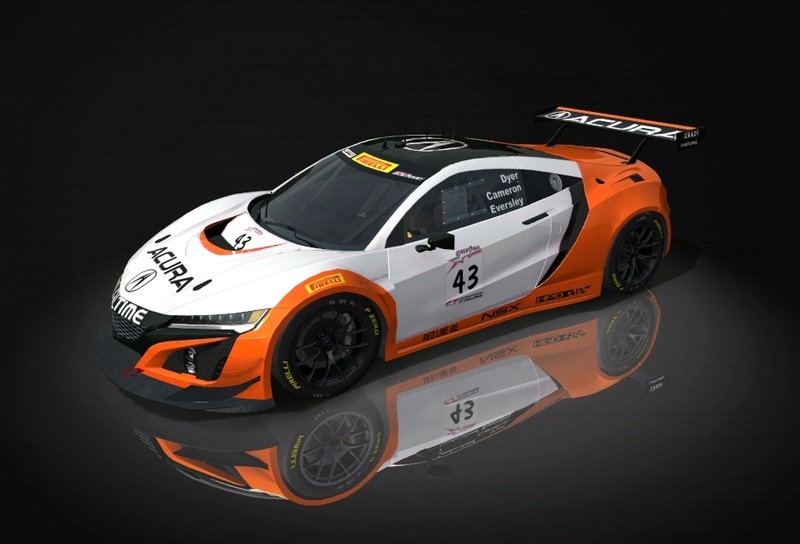 @Triebie wrote: is anybody thinking about making the actual Rolex 24H skins? Nothing IMSA from my side either. I have the #43 PWC17 car done to my liking with the exception of the windows. I'm about 50% done with the #93. My initial plan is to do the PWC17 Magnus Audis to finish up the full season entries, then move to PWC18 on rF2 as I spend 95% of my time in that game. i saw the skins made for the old GTR2 model though. Thats not to say the model wont be included in future league races where it would be skinned on, same with the Lexus your currently making. Harm is right though the MSR cars are very hard to do and will take along time but i may try them on side. I could try contacting MSR or the fan group on facebook im apart of to see if they can provide anything. Their team garage is only 20 min from my house. @CrivitzChris wrote: Nothing IMSA from my side either. I have the #43 PWC17 car done to my liking with the exception of the windows. I'm about 50% done with the #93. My initial plan is to do the PWC17 Magnus Audis to finish up the full season entries, then move to PWC18 on rF2 as I spend 95% of my time in that game. I haven't made the Rolex skins but a real life interest of mine, the California 8 Hour Realtime Racing skin. @Sylphide wrote: Thats not to say the model wont be included in future league races where it would be skinned on, same with the Lexus your currently making. I would echo Troy's statement and I'd hope you would continue with your amazing work. 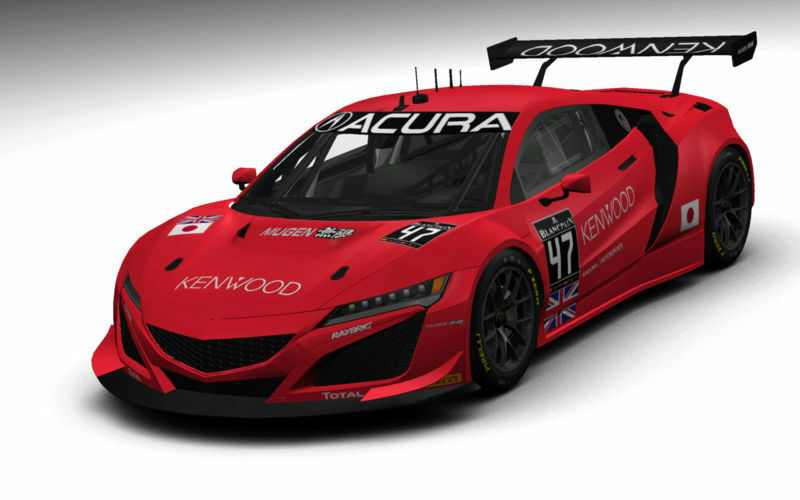 It would be great to have all of the GTD cars from the IMSA Weathertech series and I think with the NSX and Lexus, that is fulfilled. saw that on some pics and always wanted to have it. @Triebie wrote: very sad to hear that. Ulf mate, don’t get me wrong! I just think I’m don’t really have the ability to do those skins... However, there was a NSX at Macau which I have been looking at, and also the GT Masters 2018 will have two NSXs so I’m sure more skins will follow! Same for the Lexus! Pff, those are some damn hard skin. I maybe could do them, like how I did the Effort Racing 991. Using HQ pictures and put them on the car. The sides are available. With some small adjustments I can use them well. But need good images/pictures from the front, and rear from different angles. And in April I will be on holiday. Great looking skin, thanks for sharing. Why are they all epuipped with blue rims ? And how can I fix that ? i was just frustated about some posts here regarding my question for skins. As long as i know that somebody is at least trying to do them, it´s good for me. i will happily wait for whatever skins are popping up. What i don´t like, is some kind of "i give a sh..." attitude.